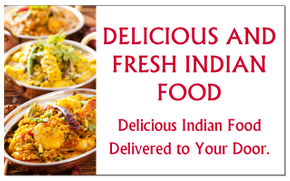 Indian Caterers London | Menu | Jewel of India Restaurant Inc. When you get a craving for spicy food with rich flavours, nothing hits the spot quite like piping hot Indian cooking. Delve into our extensive menu and take your pick! From our specialty Tandoori and curry dishes, to our freshly prepared vegetarian options, we have a dish for every palette. We are proud of our roots in London and thank all of our loyal customers for supporting our independently-owned business for over 35 years! Call us for delivery. Our restaurant is located between Dundas and King, across from the market tower. Read our full menu and be sure to also view our A La Carte menu and lunch buffet menu.